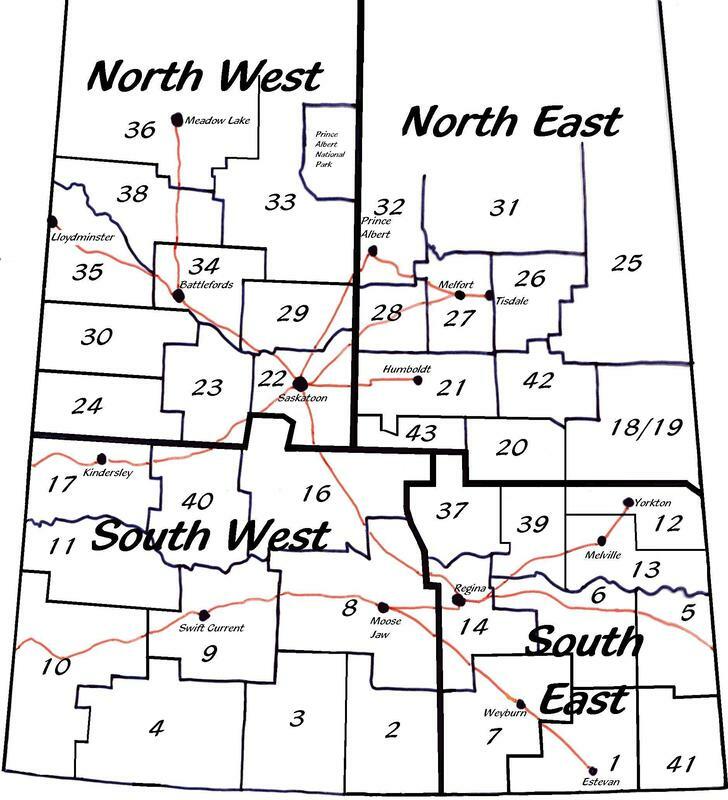 There are approximately 40 4-H Districts in Saskatchewan. Each District has a 4-H Council made up of member and adult representatives from the clubs within that district. Each 4-H club is responsible for sending two member and two adult club representatives to the District 4-H Council Meetings. Create opportunities for members and leaders to interact and participate in events with 4-H’ers not just in their club. Ensure that your club has input into 4-H policies and bylaws. Allow 4-H’ers to compete in district events such as public speaking and curling – this may involve fundraising! Allow 4-H’ers to learn from each other and work together as a team. When is your District Meeting? Check the District Meeting Dates below. Not sure which District 4-H Council you belong to? Check the District 4-H Council Map to the right! Need some advice for representing your club at your District Meeting? See Club Representative Sheet. If you have questions about your District 4-H Council or need to get in contact with the executive, contact the Regional 4-H Specialist for your Region. Other Frequently Asked Questions are answered after the District Meeting Dates. What happens at a district meeting? will elect their District Executives [President, Vice President, Secretary, Treasurer]. District Executives must be registered 4-H members or registered 4-H leaders. consider nominating an outstanding leader for the Hall of Fame. Applications are due December 31. What is expected of me representing my club? A District 4-H Council is a lot like a club general meeting! People work together using parliamentary procedure to plan events and make decisions. Remember, you are there to represent your entire club. Information that you could include: How many members and leaders do you have? what projects are members taking? when was your achievement day and how did it go? did you have any special events or guest speakers/clinicians last year? It's best if you write or print a copy of your club report and bring it to the meeting so that you can give it to the District Council Secretary for the meeting minutes! represent your club in discussions and resolutions - remember that you are here to represent the thoughts and ideas of your entire club at the district level. be respectful, polite and positive to all others. Listen to the President, follow the meeting agenda, and use proper parliamentary procedure. If you would like to be considered for a position on the executive, or as an AGM delegate, be prepared to speak about why you are interested in the role and why you would be a good choice. If you are interested in holding a position on the 4-H Saskatchewan Board of Directors for your region, you will need to submit your nomination form to the provincial office prior to AGM. Please make sure all components of the nomination form are complete. Volunteer to help with district committeees and ensure that your club is sharing the responsibility of the district. Take notes! Rememember that you will need to report back to your club after the meeting and pass on District information! Each District can send 1 member delegate and 1 leader delegate to represent it at the Saskatchewan 4-H Council’s Annual General Meeting, held in Saskatoon in March each year. It is an important business meeting where Saskatchewan 4-H Policies are discussed. It’s also a lot of FUN! District 4-H Councils will select their two delegates at the fall district coucil meeting. Each district can also send multiple visitors, who participate in all aspects of AGM but do not vote. Vote on resolutions for their District. If your District has put forth a resolution, you may be required to speak to it. Give a district report at their regional meeting. District reports should include information about each of the clubs in the district (club name, how many members, how many leaders, projects, special activities), and on District events like public speaking. District member delegates may also be an ambassador, and act as a host to our 4-H sponsors at the AGM banquet.